Another new amigurumi for collection! Wiiii!!! I'm so happy!! 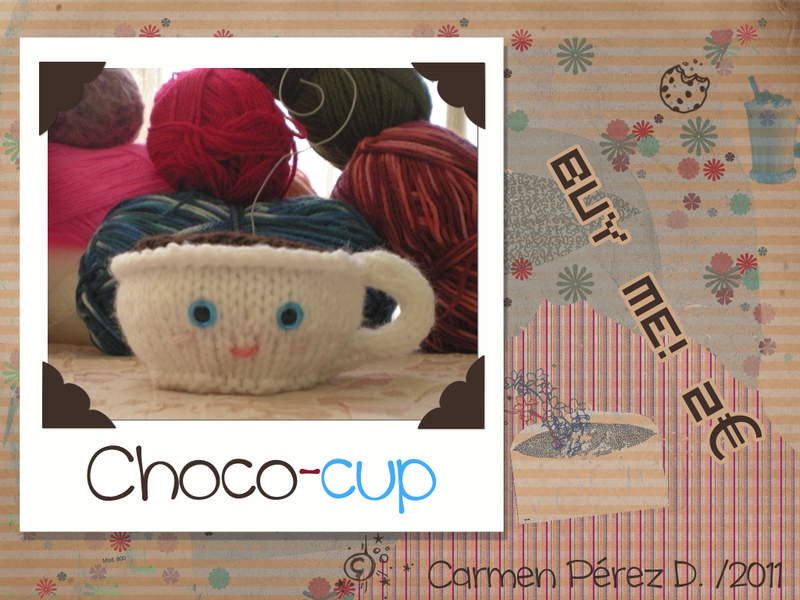 I always want to have a cup of cocoa in my reach, I think I got the goal, don't you think? I knitted this amigurumi a long time ago, it is knitting in two straight needles. That pattern is easy to follow and knit, and really kawaii! Chococup por Carmen Pérez D. se encuentra bajo una Licencia Creative Commons Atribución-NoComercial-CompartirIgual 3.0 Unported.